This is truly one world class event. Partly thanks to a rich history, Singelloop Utrecht is known both nationally and internationally as a unique running event.The largest in Utrecht with a super fast track, excellent and innovative organization, enthusiastic crowd along the course and a unique atmosphere in the Utrecht city center.The stately Maliebaan and monumental Wilhelminapark are two real Utrecht locations that contribute to the special atmosphere of this event that can count on a lot of interest every year. In the anniversary book, Pim van Esschoten writes: "The history of the Singelloop has beautiful years and also editions sans histoire.There are years that there is no Singel Run at all.The event comes back strongly three times.At the sixtieth edition in 2010 it is in a new flowering period.This resilience has two sources: the beauty of the course and the history of the course.Together they make the Singelloop a monument. " 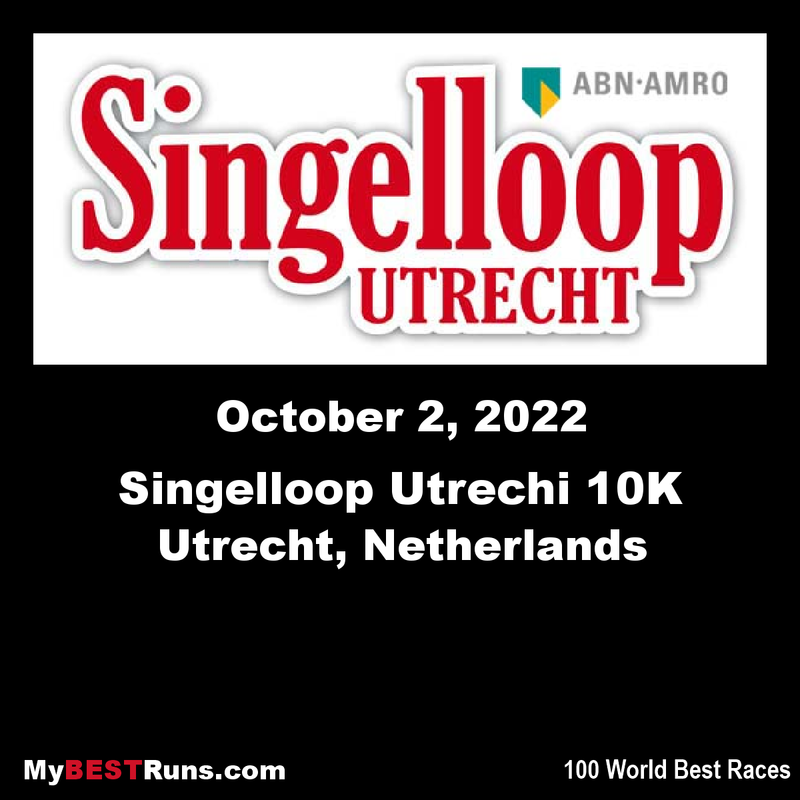 Singelloop Utrecht proudly bears the banner of oldest streets in the Netherlands.The first edition took place in 1925. 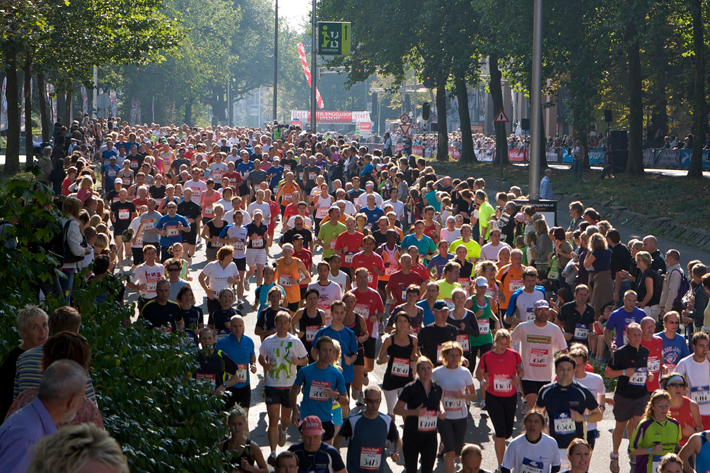 In 1928 there were only 37 participants.Along the course, no fewer than 100,000 people will be public.The start was at the Smakkelaarsveld in Utrecht.The city center of Utrecht is the beautiful backdrop for spectators every year to encourage the runners.Images such as on the right show the historical value of the event. 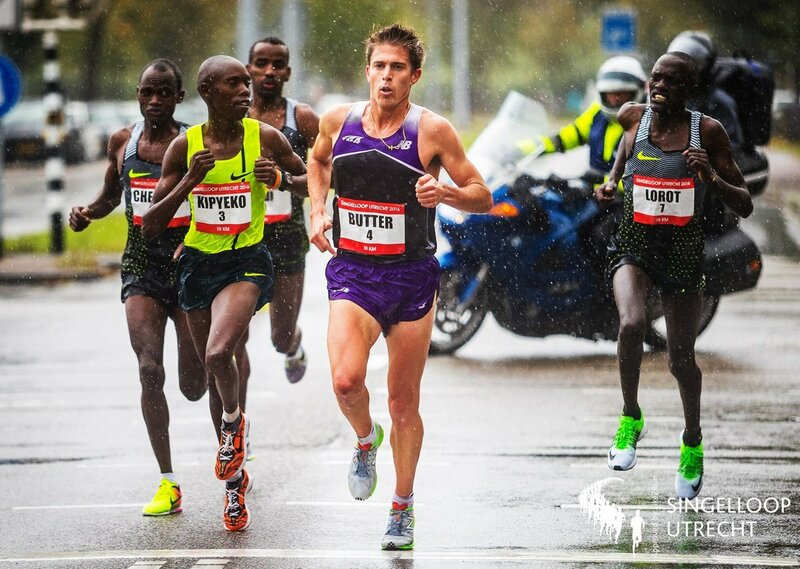 Leonard Komon (pictured left in 2017) wrote on Sunday, September 26th, 2010 history in the 60thedition in Utrecht to run a world record.The 22-year-old Kenyan long distance runner finished in a time of 26 minutes and 44 seconds and was 17 seconds faster than his compatriot Micah Kogo.To this day, the world record on the road has not yet improved.In 2017 Komon returned to Utrecht and finished third. "Utrecht gives me a warm feeling.The start on the Maliebaan, the route through the city center and the public along the course.This is a unique event, I am proud to have walked the world record here. " 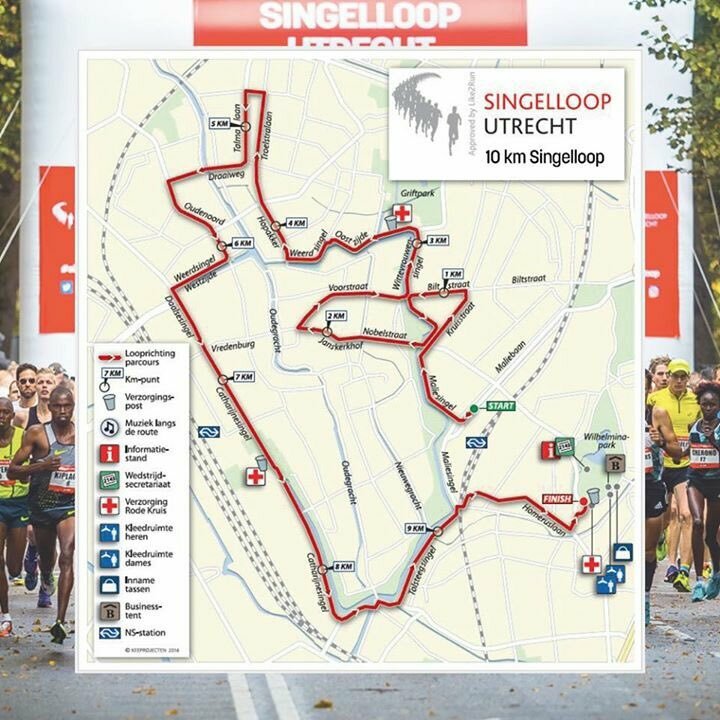 The 10 km Singelloop course takes you through the beautiful Utrecht city center and along the authentic canals.From the start on the stately Maliebaan to the finish in the monumental Wilhemina Park, the Domstad shows its most beautiful side.The course has few height differences, is completely paved and traffic free.Every year many PRs are run on this course.The encouragement of the thousands of spectators plays an important role here.Everywhere people stand along the course and music is made.An experience that you must have experienced as a runner.